Industrial Netting's custom plastic meshes are used for applications ranging from heavy duty pallet rack safety nets to light weight bird nets to soft, breathable parts protection sleeves. Most standard products can be custom converted and shipped within one business day. 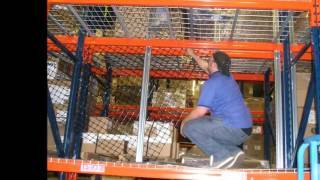 RackGuard pallet rack safety netting helps protect people and reduce product damage in warehouses and storage areas. The integral joint structure of this heavy duty polypropylene grid retains the original hole or aperture size and resists sagging. 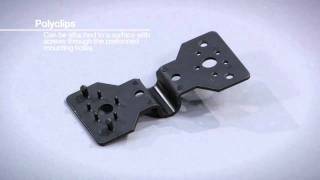 You can trim RackGuard on site without losing the structural integrity of the mesh. 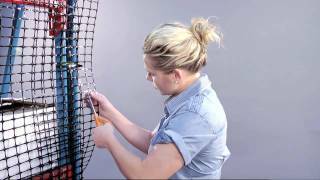 Visit youtube.com/industrialnetting for a brief installation video.